Make a difference. Earn your way to WE Day. Use the app to help you live WE Day, every day. WE and TELUS are proud to share the WE Day app – a platform for making a positive impact on the world, one action at a time. Download the WE Day app and join other like-minded individuals in exploring and sharing challenges, getting tips for how to be change-makers in your community – both at the local level and globally – and earning your way to a WE Day near you. Earn your way to WE day in 3 easy steps! Create an account by downloading the app from the App Store or Google Play. Don’t have a compatible device? No problem! Just visit WE.org/app to create an account online. Select your nearest 2017 WE Day location. 1 Winners will be drawn at random prior to each WE Day event and notified by email. Transportation to and from the event are not included. Helping us make the world a better place. As a global telecommunications leader, TELUS is passionate about their community investment philosophy – we give where we live – and creating a legacy of giving based on innovation and supporting youth through technology. That’s why partnering with WE in the creation of the WE Day app was a natural fit. Together, we help inspire youth to raise awareness about protecting animals and standing up for cyber bullying. Visit telus.com to learn more. As one of Canada's largest banks, RBC is committed to empowering youth to pursue their goals and dreams. They're the folks that will give you the financial education, tools and resources to help you succeed in creating the change you want to see in the world. Together, we help inspire youth to set goals with the right knowledge, skills and confidence, and see how it all adds up! What is the WE Day app? The WE Day app is a handy way to live WE Day, every day. It’s a platform for making a positive impact on the world, one action at a time. Explore, complete and share challenges created by like-minded individuals, each making a positive difference for both our local and global communities. Every small action makes a difference. When we work together, it can make a real and powerful change. The WE Day app connects you to a broad network of passionate, empowered idealists who share successes, collaborate on challenges and create impact. All these actions add up to building a better world. Best of all—it’s about inspiring others and inviting friends to join the movement! As a student, your school can use the app to bring social issues and real-world causes into the classroom. You and your classmates can work together to track volunteer hours or take challenges. You can also create a class group to share your progress and discuss successes, or rally around campaigns, community action or issues related to study topics. It’s about really connecting with your world! Is there a bonus for using the app? 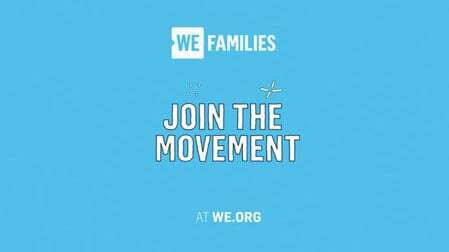 We know that you can’t buy tickets to WE Day—instead, you earn entry with acts of service through the WE Schools program. 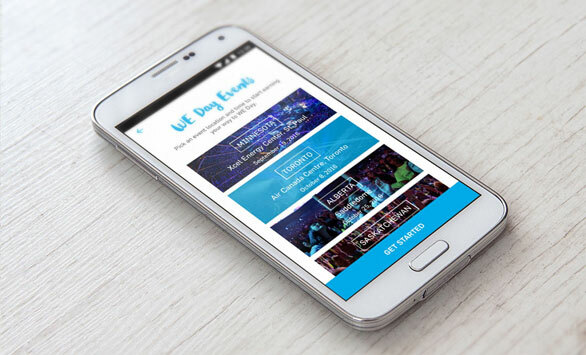 But now with the new WE Day app, all youth can earn ballots to win tickets to a WE Day event! Ballots are earned by logging volunteer hours within the app. This way, even more people from your school can get involved with WE Day! NOTE: Winners will be drawn at random prior to each WE Day event and notified by email. WE Day tickets awarded only permit entry to the event; transportation to and from the event are not included. Please read all Terms and Conditions. Challenges are activities shared in the app, each one contributing to making the world a better place. You can choose which ones to tackle, playing your part in making an impact. Challenges are organized into causes which you can support, such as cleaning the environment, enriching education, alleviating poverty or promoting human rights. Completing challenges also helps you earn badges for your profile. With the WE Day app, you can truly build a track record of the positive impact you make! 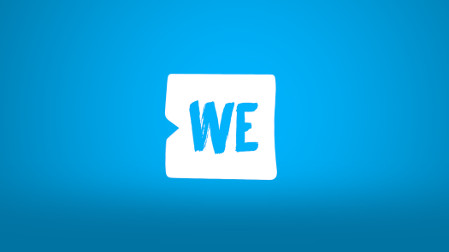 The WE Day app can be downloaded on iOS and Android. If you don’t have a smartphone, you can use the web version. To create an account you’ll just need an email, or you can sign in using Facebook or Twitter. iOS: iPhone 4, iPod touch (4th gen) running iOS 7 or higher. Android: Samsung S4+ HTC One, Nexus 4 running 4.0.3 or higher. For the web app, simply visit weday.com/app using a modern browser such as Chrome, Firefox, Safari or Edge. How do I complete a challenge? Completing challenges is how you start making an impact using the app, one small action at a time. Browse through the challenge feed and find one that interests you. Once you’ve found one, press ‘Accept’. Write a comment and/or upload an image as required. When you’re ready, press ‘Post’. Inspire others to make a difference by sharing your impact on Facebook or Twitter! How do I earn ballots to win WE Day tickets? 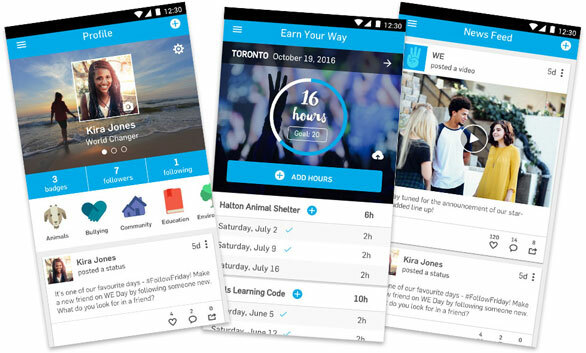 You earn your way to a WE Day event by logging volunteer hours in the app. For every 1 hour logged, you will earn one ballot. On the navigation menu, select ‘Earn Your Way’. 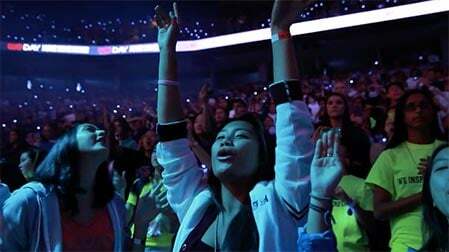 Choose the WE Day event you want to attend from the list, then press ‘Get Started’. Press the ‘+’ icon to add hours, then fill out activity details form. Once you have completed the form, you can get your supervisor to sign off and lock your hours onto the tracker. Press the pencil icon when you are ready to proceed, then hand your device to the supervisor to add their signature. Once they are done, press ‘Finish’ to lock it in. NOTE: All volunteer hours will need to be verified to qualify for a WE Day ticket. You can choose to save your hours and retrieve them at a later time, or export them immediately into a PDF which can be printed or emailed to your teacher or used for school, scholarship and work applications. To export, press the cloud download icon, select the items to include, then press the ‘Export’ button. How do I change which WE Day event I want to go to? If you have already started earning ballots or logging hours for a WE Day event, but want to choose a different location, it is possible to re-allocate your action history. Press the title bar that shows the currently selected event location and date. Next, on the event’s info page, press the ‘Change’ button. Choose the new WE Day event you wish to attend, then press ‘Get Started’. NOTE: Any previously logged hours or activities will be attached to the original WE Day event selected. How do I make sure I'm receiving targeted content in my feeds? Occasionally, we will post special material and offers on the Challenges and News Feeds that are specific to regions and provinces. To make sure that you are receiving the right material, check your location settings in the app. On the navigation menu, select ‘Settings’. Scroll down to the section where you can specify City, State/Province and Country. Update these values, then press the ‘Save’ button. How do I just track volunteer hours if I'm not going to WE Day? If you are not able to attend one of the WE Day events available, you can still use the volunteer tracker tool in the app to log your hours completed towards social causes. To do so, simply press the ‘Skip’ button when prompted to select a WE Day event. You can then proceed to log and track hours as outlined above. How do I get my hours verified/signed off? They will also have a section of the form to add their signature, so don’t forget to bring the app with you when you are getting hours signed off! How do I activate private mode? If you don’t want your account to be searchable or your posts visible to other users, you can enable private mode for your account. Select ‘Settings’ from the navigation menu. On the subsequent screen, enable the ‘Private Account’ option. If you come across any content in the app that you feel is offensive or doesn’t belong there, you can let us know about it right away. Just click the three dots in the top-right corner of the associated challenge or post, then select the ‘Report’ option. The content will be hidden from the app straight away, and our moderators will investigate the entry. If you’ve forgotten your password, it’s easy to get a new one yourself. Just open the login screen and press the ‘Forgot My Password’ link. Give us your email and we’ll send you a temporary reset code. Is my profile always public? Not necessarily! In some cases, you may prefer to complete challenges and log volunteer hours, but not receive messages and content from other app users. To achieve this, simply activate private mode in your app settings (see further instructions below). Will I have protection from inappropriate content? 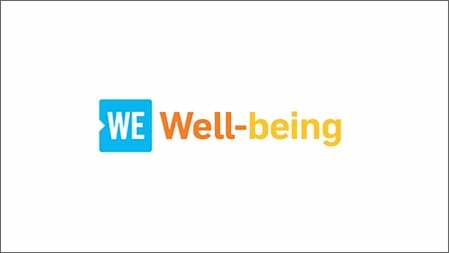 We take your safety seriously and have worked hard to build in some strong protection for all our WE Day community. Firstly, we have a robust list of blocked vocabulary to prevent offensive or harmful content being posted. Secondly, we also have moderators who are on the lookout for anything inappropriate posted on the platform. Finally, we also empower you to be part of the solution, and have built in a neat reporting system so you can let us know straight away if you come across anything offensive. Simply mark the post as inappropriate, and it will be hidden from the app and flagged for our moderators to review (see further details below). Personal info such as your name and contacts details are always kept safe with us. We only use this info to keep in touch with you, so your personal details will never be shared without your permission. Will anything get posted on my Facebook or Twitter feeds if I link them? Nope, we’ll leave that up to you. You have the option of sharing our content and your own posts on Facebook and Twitter if you want to. And of course, you can also invite Facebook friends and Twitter followers to join you in changing the world! The core features of the We365 app have been carried through to the new WE Day app, so you can still complete challenges, track volunteer hours, create groups and collect badges. Do I need to prepare anything to shift? Not at all! All the parts from We365 have been mapped across to the new WE Day app, so we’ll move all your stuff for you. Will I need a new account? Nope, your old account email and password will still work! What will happen to my Volunteer Tracker log? The hours you have logged and saved in We365 will be saved and brought across into the new WE Day app. To access them after upgrading, visit ‘Earn Your Way’ from the navigation menu and either select a WE Day event or press the ‘Skip’ button.